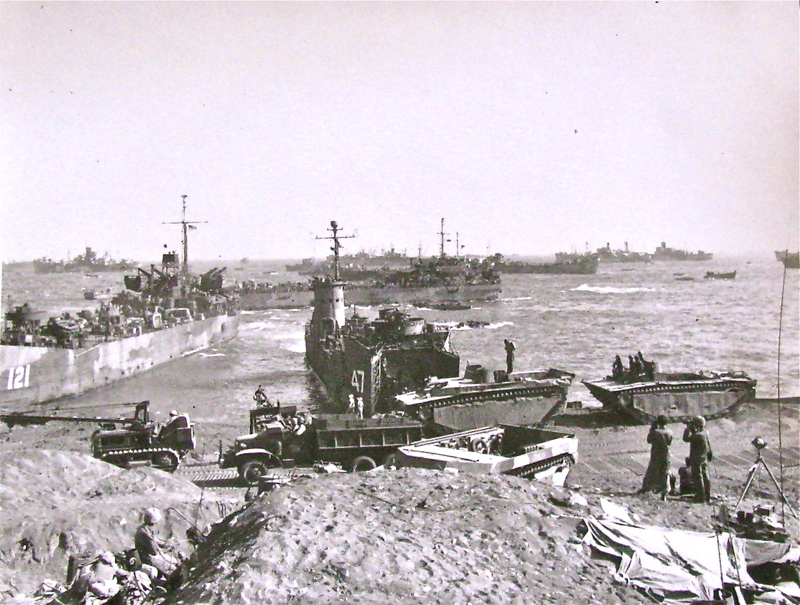 The hand-written note on the back of the framed 8 X 10-inch black and white photo on the wall of Earl Swillum’s Port Charlotte, Fla. home reads: “Iwo Jima, Day 3.” On the flip side it shows LST-121 on the beach with its bow in the island’s black volcanic sand two days before the Marines put an American flag atop Mount Suribachi. 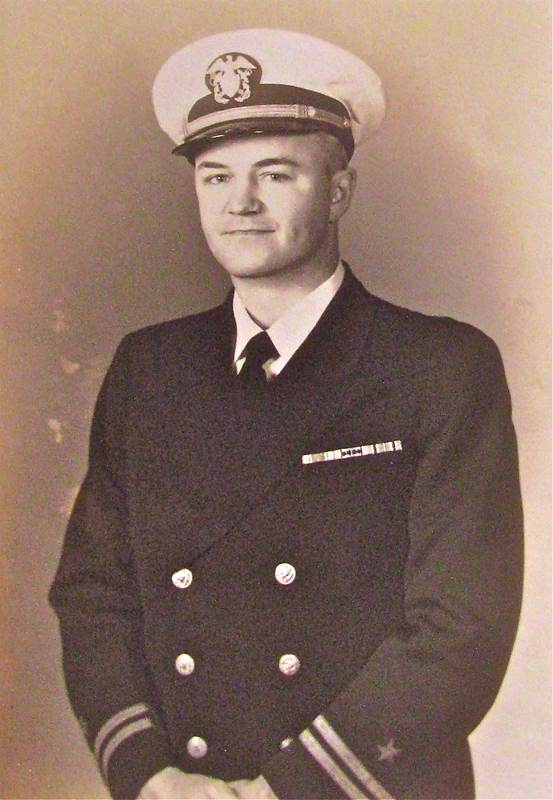 Swillum was one of the ship’s officers and its last skipper when LST-121 was put in mothballs at the conclusion World War II. The 93-year-old local resident saw action at four of the primary battles in the Pacific: Saipan, Peleliu, Iwo Jima and Okinawa. “We were 1,000 yards off the beach at Iwo when the Marines put the flag up,” he said. “We were watching them going up the mountain through our binoculars. “I can also tell you we tried to put some Marines ashore in some DUKWs, but the amphibians couldn’t climb onto the beach with their DUKWs. I don’t know if they ever made it ashore in them. “The Japanese were shooting at us from every angle. We had to put up with an occasional Kamikaze including one that strafed us. Six of our men had holes in their jackets, but they weren’t wounded. Right along side us a distorter was hit by a Kamikaze and 30 men were killed,” Swillum said. Swillum was a plank owner, meaning he went aboard ship about the time LST-121 was completed at the shipyard in Ohio. “We took the ship down the Ohio into the Mississippi River and from there into the Gulf of Mexico. We took a two week shakedown cruise and sailed back to Louisiana and picked up all our personnel. We sailed through the Panama Canal and ended up in San Diego, Calif. We sailed out of San Diego in convoy for Honolulu, Hawaii,” he explained. “We sailed for Saipan and the war zone. What I remember most about Saipan was that Japanese soldiers were jumping off the cliffs and committing suicide. We also had to put up with a few Kamikazes at Saipan. I remember one time we were trying to protect ourselves from the suicide planes by making smoke. A Kamikaze flew as low as the roof of this house. I could see the pilot’s face and I looked him in the eye before he flew off. Marines landed on Saipan on June 15, 1944. By July 9 the “Leathernecks” took the island away from the Japanese. American losses totaled: 2,949 killed and 10,464 wounded. Japanese losses: 30,000 killed. Swillum and LST-121 moved on to Peleliu and another round of fighting with the emperor’s imperial forces. Peleliu was a costly victory for the U.S. Even though it had a runway, the tiny island was of little strategic value to the Allied advance in the Pacific. The 5th Marine Division and the 81st Infantry Division went ashore to take it away from the Japanese in September 1944. Two months later they captured the little island at a cost of 6,500 American casualties. The Japanese forces on the island of 11,000 were wiped out. After Iwo Jima, Swillum took command of LST-121 and sailed on to Okinawa to take part in the largest battle in the Pacific War during World War II. “We got in a bad typhoon that hit Okinawa. We had to sail out of the bay into the open sea. For the next three days and nights our ship was pounded by the storm. Every four minutes our LST would rise up out of the sea and slam down on its flat bottom and shake the whole ship. The only reason we survived the storm was we had the bow of our ship pointed into the wind,” he recalled. Shortly after President Truman ordered the second atomic bomb dropped on Japan, Swillium and his landing craft headed back to the U.S.
“I was a young lieutenant in command of LST-121 from Okinawa back to the States. We took the ship back to Charleston and put her in dry dock. I got the ship’s pennant, he said proudly. A short time later, in June 1946, he was discharged from the Navy. Swilling eventually went to work as an accountant for Ford Motor Company were he spent more than 30 years. He and Sally, his late wife, moved to Port Charlotte in 1989. They have six children: Michael, Sarah, Kathy, Mark, David and Paul. This story was first published in the Charlotte Sun newspaper, Port Charlotte, Fla. on Monday, April 15, 2013 and is republished with permission. I believe my Dad served with him. 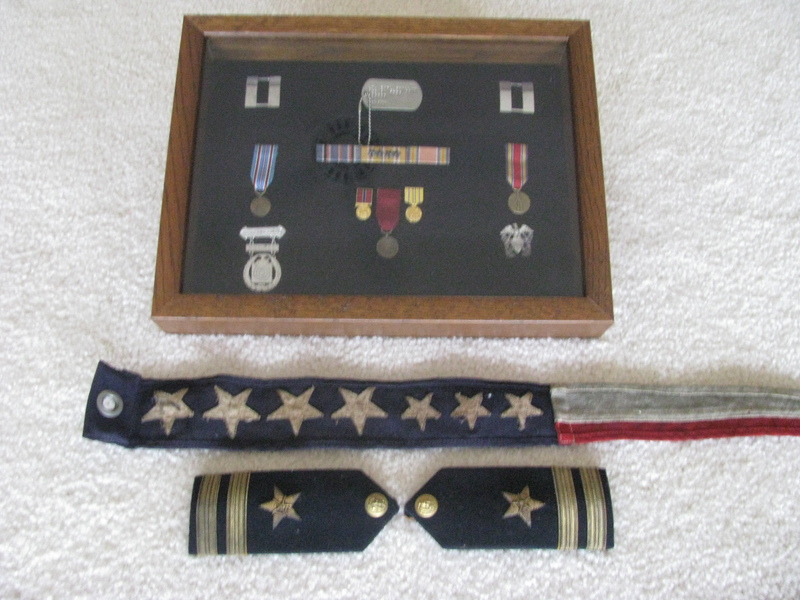 My father was a Chief Petty Oficer and was with the ship for all four campaigns. Hello Lt Swillum. My Dad served onboard LST 1014 and was at Pelelieu. I have no photos of the landing with his boat there, might you have such an image. Thank you very much for your service. In 1966 I worked off shore in the Gulf of Mexico south of Timbaleir Bay Louisiana and was quartered on an LST 121 that was part of a drilling rig. I was working for Brown and Root, might it be the same boat?